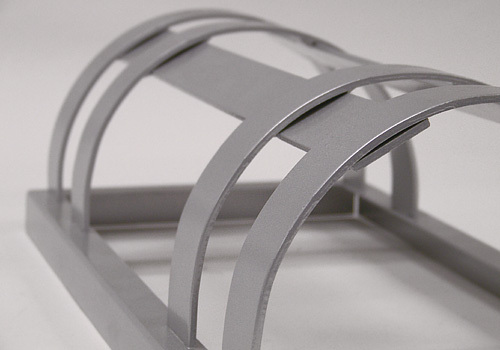 High quality aluminum is used in the construction of the frames and cages of the fixtures. 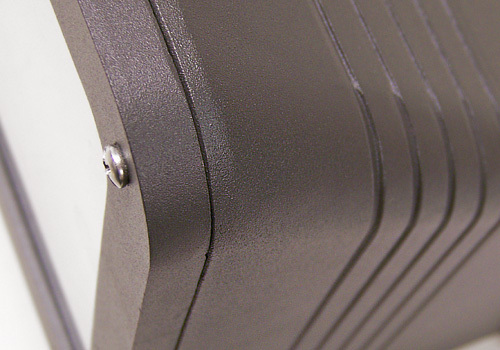 High temperature non-aging black EPDM neoprene rubber gasketing seals out moisture and contaminants. 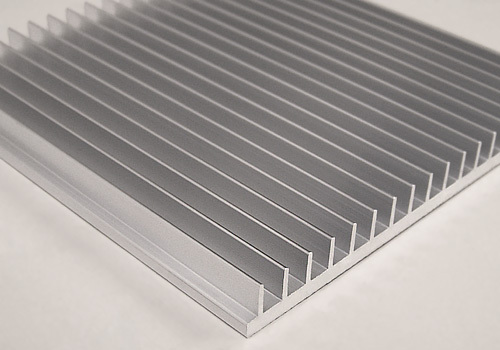 Heat sinks allow better heat reduction and transference which extends lamp-life and temperature range. 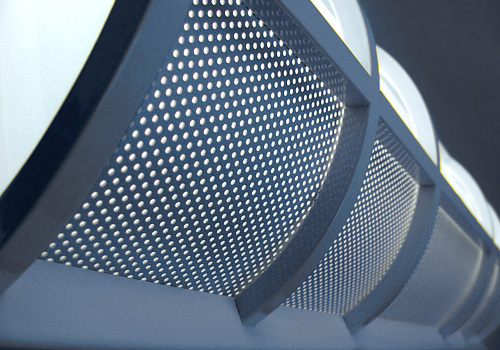 Perforated aluminum inserts provide brightness control against over-exposure and glare which produces stylish light-filtered patterns. 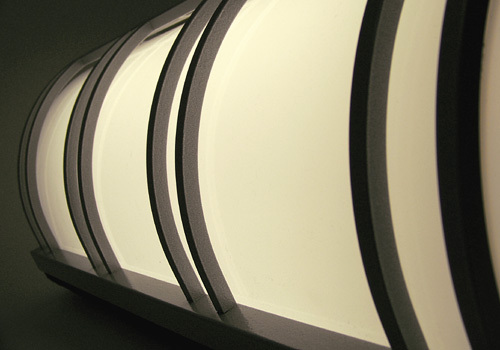 The translucent white diffuser creates a classic soft luminiscent glow suitable for all types of lighting applications. 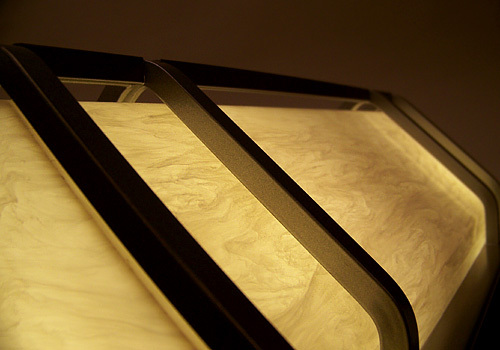 The faux alabaster diffuser casts a sophisticated silhouette and distinct light variations through it's uniquely textured surface. 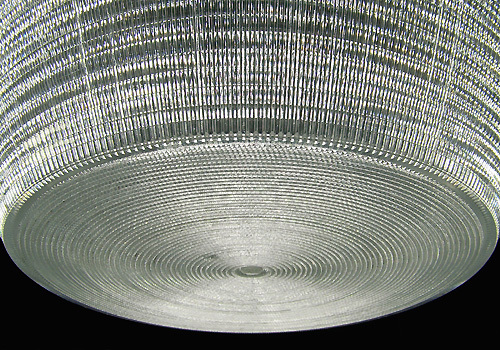 Prismatic lenses provide superb light distribution and durability which is ideal for use with high performance lighting. 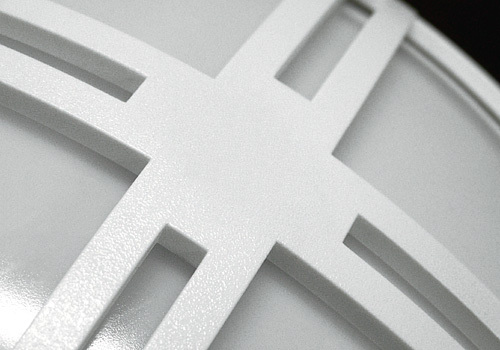 The white polyester powder coat finish gives a light and refined texture to the exterior surface of the fixture. The bronze polyester powder coat finish is a versatile color choice that compliments all types of architecture and facades. 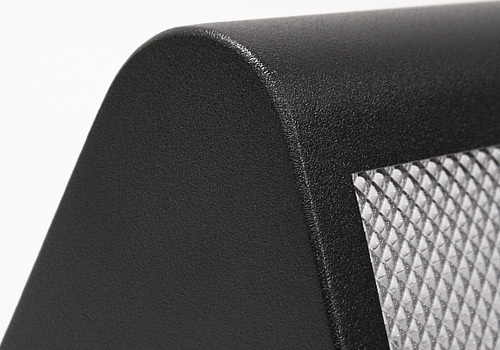 The black polyester powder coat finish produces an eye-catching contrast against lighter backdrops or colored surfaces. 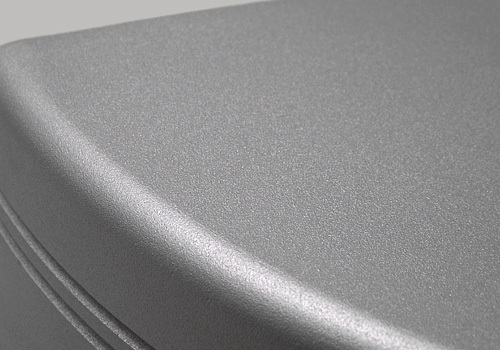 The painted aluminum polyester powder coat finish reflects a contemporary feel suitable for modern spaces and structures. 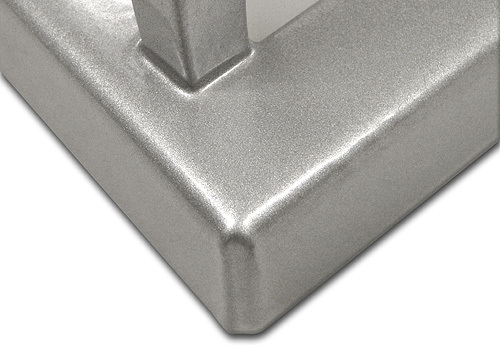 The silver gray powder coat finish features a smooth and lustrous tone which exudes a sophisticated and polished quality. 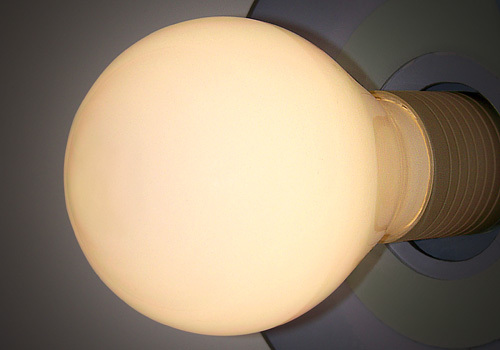 Compact fluorescent lamping provides steady bright illumination in a small and convenient format. 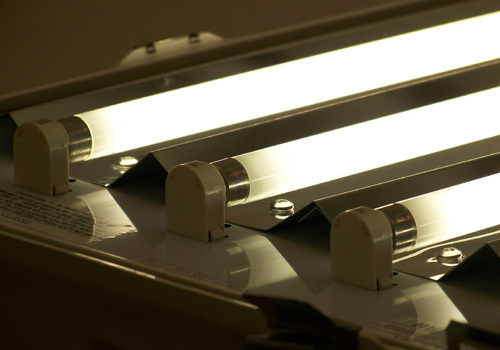 T5/T8 bi-pin fluorescent lamps are suitable for areas requiring bright and efficent lighting with consistent results. 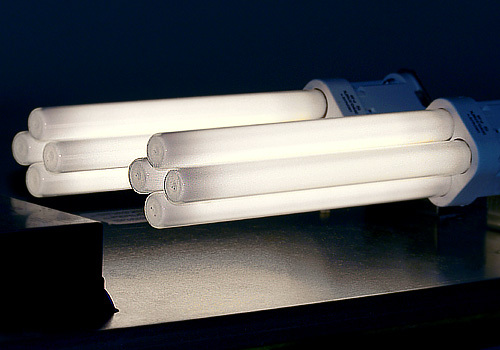 QL Induction Lamps offer a practical and lumenscent source of lighting with a long and convenient service life. 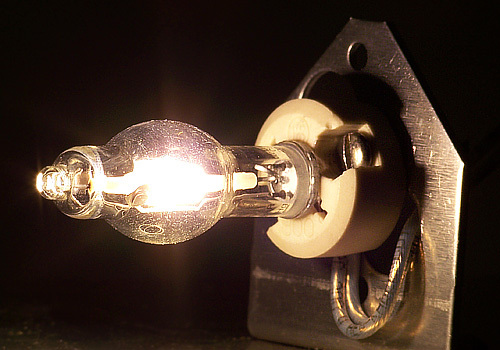 Metal Halide Lamps produce a high light output in a compact and efficient manner. 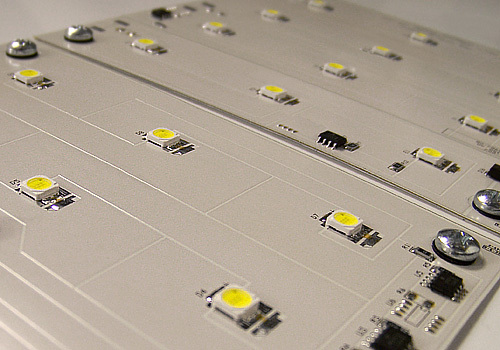 LEDs generate high intensity illumination at a small size and leave a small carbon footprint as well with it's low power consumption and long lamp life.